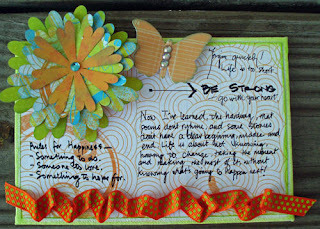 Blog Quick Quotes: Trendy Tuesdays - Ribbon technique! Trendy Tuesdays - Ribbon technique! 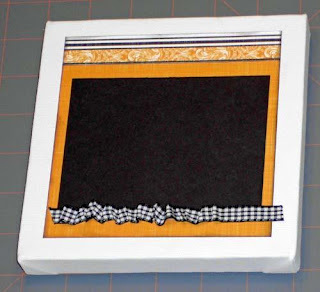 This Ribbon Ruffling Technique is fairly simple and adds the perfect touch to scrapbook pages, cards or any other crafting project. 1. 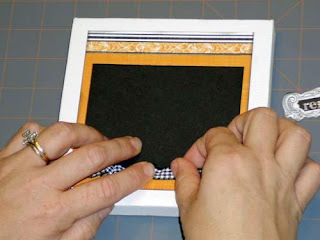 Use a dry adhesive and run the adhesive straight across the area where the ribbon will be placed. 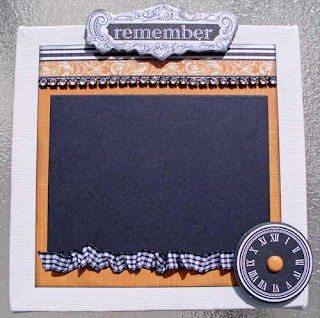 The ribbon you use will need to be longer than your adhesive line by at least 2 inches or so. 2. Adhere the start and finish of the ribbon to the start and finish of the adhesive. 3. 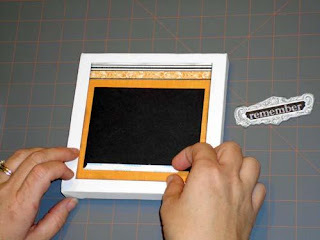 Then find the middle of the ribbon and glue that to the middle of the adhesive line (this will create an M shape out of the ribbon or mountains). 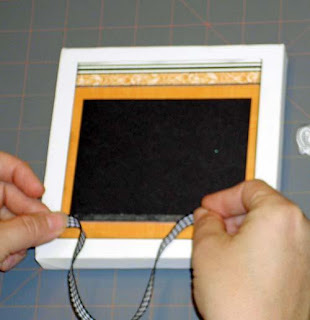 This is how you ensure that your ribbon will ruffle along the entire piece of adhesive and you won’t be short ribbon or have too much. 4. 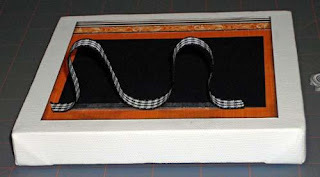 Once the middle of the ribbon is tacked down, you will then ruffle the ribbon on either side of the middle by pulling it back onto itself, pinching it, bringing it higher than the adhesive and pulling it back down (or vice versa) or whatever method works for you so that the desired ruffling look is achieved. Here is the final canvas which I made to put a homecoming picture on and give to my daughter for her room. I used the October Club Q Kit to complete the canvas. Thank you Michelle for your wonderful Tutorial. It really clears up the mystery with how much ribbon to start with!!! Beautiful projects. The homecoming canvas is gorgeous! Michelle your layout is beautiful!!! and the ribbon technique is clever!!! thanks for sharing this. Loved how you presented this technique. Keep sending us these ideas.